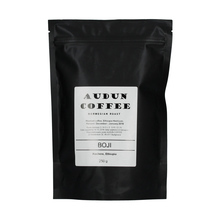 Audun Coffee is a speciality coffee roastery created in 2014, Bydgoszcz, by Audun Sorbotten. 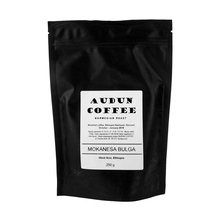 Those exquisite coffees that you can come across in the best Polish coffee shops are the outcome of passion and abundant experience of their creator. 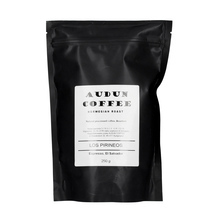 Audun, an educated chemist, decided to follow his love for coffee rather than his trained profession. The beginnings of his adventure reach back to 2006 when he started his first job at Solberg&Hansen in Oslo. He spent eight years there, overseeing production for Norwegian markets. 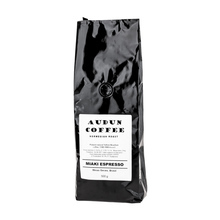 The most notable moments from Audun’s time at the company include winning Nordic Roaster competition for two consecutive years (2011 and 2012). A year after that Audun followed his heart once more – this time it was not coffee but a Polish girl that he fell in love with. And so, Audun moved to Bydgoszcz, bringing his talents on the opposite side of the Baltic Sea. 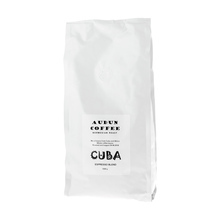 First coffees to come from his own roastery appeared on the market in late 2014. 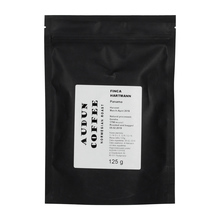 Though not that much time has passed since then, Audun Coffee gained much esteem and Audun himself won the roasting world cup in Gothenburg. 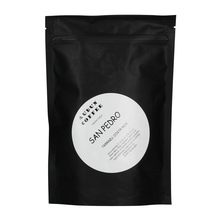 1 kg 125 g 250 g 500 g Brasil Brazil, other Costa Rica El Salvador Ethiopia Kenya Panama Peru Rwanda Rwanda, other Honey Natural Washed light medium Espresso Pour over (Alternative brewing methods) Sort by: Price (Low to High) Price (High to Low) Product name a - z Product name z - a Highest rate Lowest rate New in!